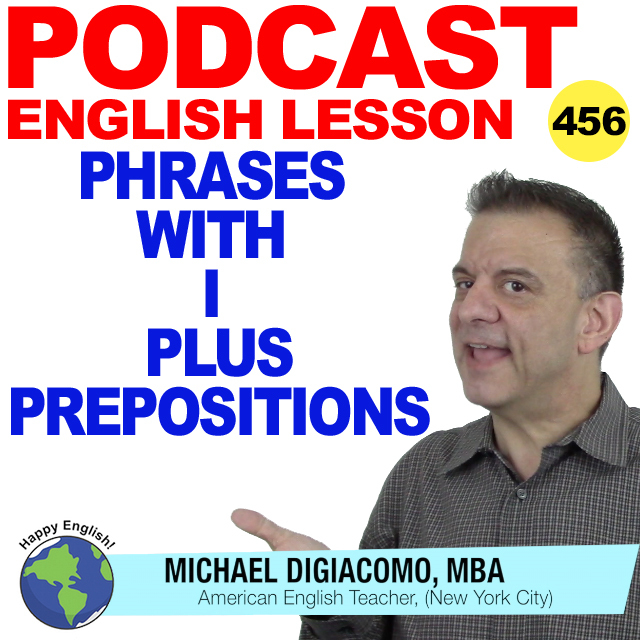 Prepositions are interesting because a number of prepositions can be used as adverbs. For example, I can say, I’m behind you. Behind means the back side of something. I’m behind you means the opposite of I’m in front of you. But, the phrase I’m behind, means that late. I’m behind means I’m not on schedule. For today’s English lesson, let’s take a look at 7 phrases that use I am, plus prepositions. I’m really behind, so I need to stay in the office late to finish this report. I was behind in my homework, so I spent the whole weekend studying! I’m down because my pet goldfish died. I’m a little down today so I’m, not going to go to the party. Do you want to go to the club tomorrow night? Sure, I’m down for that. My favorite singer’s concert is just two days away. I am so down for that. Are you down to go camping next weekend? Oh yeah, I’m down! I’m off tomorrow, so I’m going to sleep in and just relax. I’m off for a week in December. I think I’ll go to Miami. Are you off on Saturday? I’ve had a great time tonight, but it’s getting late, so I’m off. Let’s see, I have my wallet, keys, and watch. I’m all set. I’m off. See you tomorrow. I was out all day yesterday. I guess that’s why I was tired today. Jack and Tommy are both out today so the office is quiet. Several students were out so the teacher decided to cancel the quiz. Are you still eating? No…I’m through. It took a long time to finish this project, but finally, I’m through. I was up late last night, so I should get to bed early today. Hi Jack? Are you up? I need to ask you something. I am up early every morning.